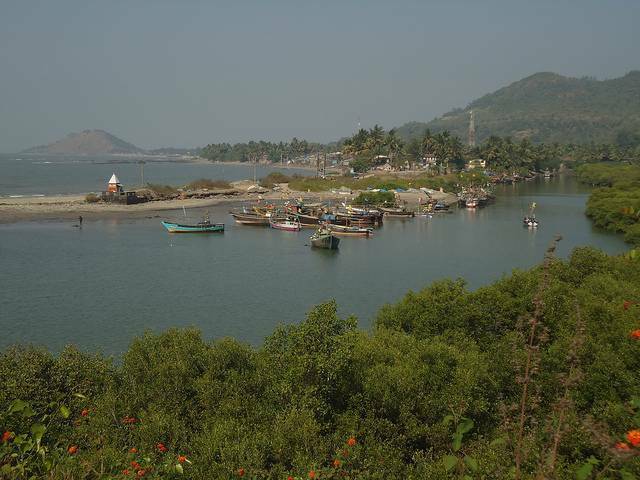 Revdanda (Beach) (17 kms) Its picturesque locales consist of bunch of towering coconut trees , the wiry betel nut trees with clusters of betelnut suspended from string like structures and the green waterlogged rice fields. Revdanda is famous for “bakuli” which is a sweet smelling flower found in this town. The town has three main temples , Lord Dattas Datta mandir and Rameshwar mandir and the Shitala Devi mandir dedicated to goddess Shitala. There also exists an isolated beach with black sand.